After months of speculation and rumour-mongering, the Samsung Galaxy Note 9 is official – and it's immediately become one of our favourite phones of the year. There's still some way to go in 2018 though, and still a handful of top-quality handsets yet to break cover. One of those is the Google Pixel 3 XL, and it's worth considering what Google's next flagship might bring before you put in an order for the Note 9. The Pixel 3 XL hasn't been announced yet, but here's what we think Google is planning to launch in October. We're certainly impressed by the curves and the aesthetic attitude of the Galaxy Note 9 – all minimal bezels and that excellent 6.4-inch display. There are four colours to choose from this year too: black, lavender, blue and copper. As for the Pixel 3 XL, we've only got design renders to go off for now, but it looks like Google has built on the decent design work that it put into the Pixel 2 XL (though we're not totally sure about the notch). The signature Pixel two-tone design looks like it's retained on the back, which we like, and the screen is tipped to be just a little smaller than the Galaxy phone at 6.2-inches. Beauty is in the eye of the beholder so we'll leave it to you to decide which of these phones has the most design appeal. For us the Samsung Note 9 catches the eye more from the front, but overall we like the leaked look of the Pixel just a little more. Samsung has certainly gone to town with the specs inside the Note 9, maybe to differentiate it from the Galaxy S9 Plus. You get an Exynos 9810 or Snapdragon 845 processor inside, depending on your region, and up to 8GB of RAM and 512GB of storage (a lower configurations is also available). That's a lot of smartphone processing power. The Google Pixel 3 XL is being tipped to go with the Snapdragon 845 processor as well, while the rumours point to up to 6GB of RAM being included. That would get it close to the Note 9 in terms of specs, but not quite up to the same heights. Traditionally, Google hasn't seemed particularly bothered about keeping up with the very best spec configurations out there, and we don't think 2018 will be any different. The Pixel 3 XL will have flagship specs for sure, but the Note 9 will probably just edge it here. A lot of the buzz around the Note 9 is focusing on that fantastic new S Pen, upgraded to let you control apps and the camera remotely, and access all kinds of other tricks too. The usual Samsung staples are all here as well, including wireless charging and waterproofing. For Google, camera quality has always been top of the agenda, even while it's been sticking to single-lens snappers on its phone. We'd expect the Pixel 3 XL to have another fantastic camera, and it may well edge out the 12MP+12MP dual-lens model on the rear of the Note 9 – though we can't be sure yet. We're also waiting to see whether Google adds wireless charging and full IP68 waterproofing to its PIxel line this year – there has been speculation that the two features are indeed incoming, but again we'll have to wait and see. It won't have a stylus though, so Samsung wins out there. Of course we're relying on rumours when it comes to the Pixel 3 XL, but we can make some good educated guesses about what Google has in store based on what we got with the Pixel 2 XL and what other Android manufacturers have been doing this year. 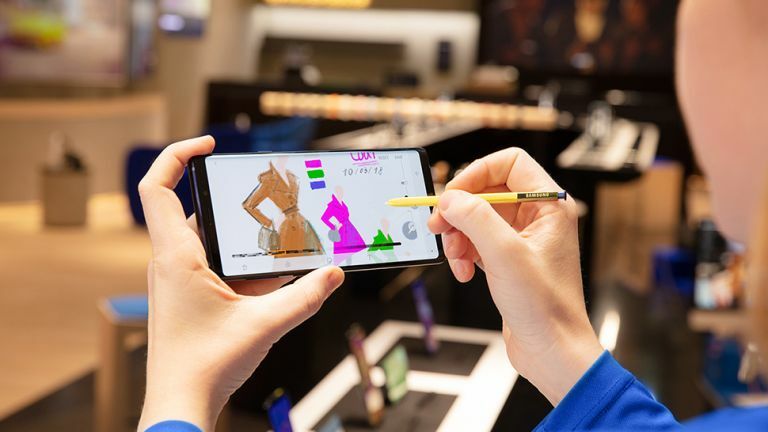 The Note 9 is now official and looks to be another fine entry in the Galaxy series – if you can afford it, the handset is unlikely to disappoint in any area. In terms of raw specs, there's no other phone out there at the moment that can beat it. If you're a fan of what Google does with its clean and fast PIxel version of Android, or you want a phone camera that might end up being the best that 2018 has to offer, you could consider holding fire until the PIxel 3 XL arrives.